Blueberries aren’t in season very long here in Michigan, but thankfully they are usually available year round at my grocery store. During the season I try to pick as many Michigan blueberries as possible and then freeze them to use in baked goods or jams later in the year. It never fails though that by late January the freshly picked Michigan blueberries are gone and I’m at the store buying more. 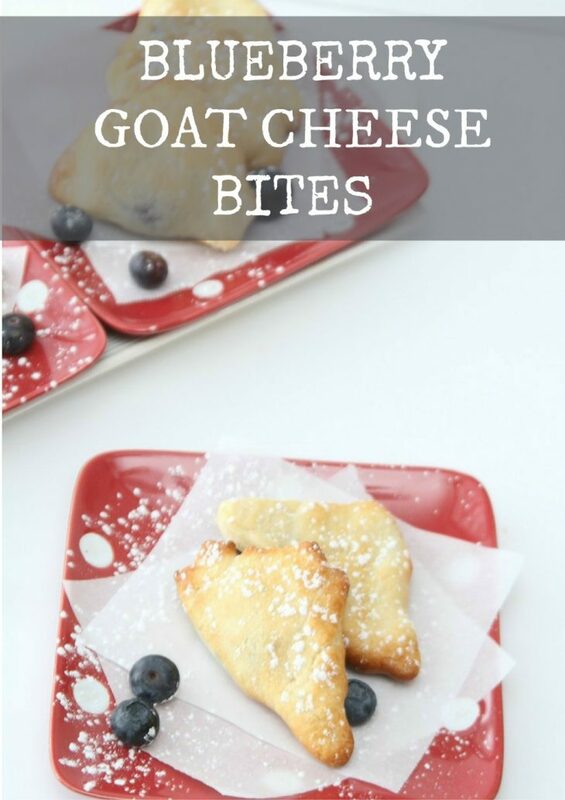 My recent delicious blueberry creation is blueberry goat cheese bites. The blueberry goat cheese recipe is perfect for red carpet parties, football parties, girls night in or just because you are in the mood for some blueberry delightfulness. 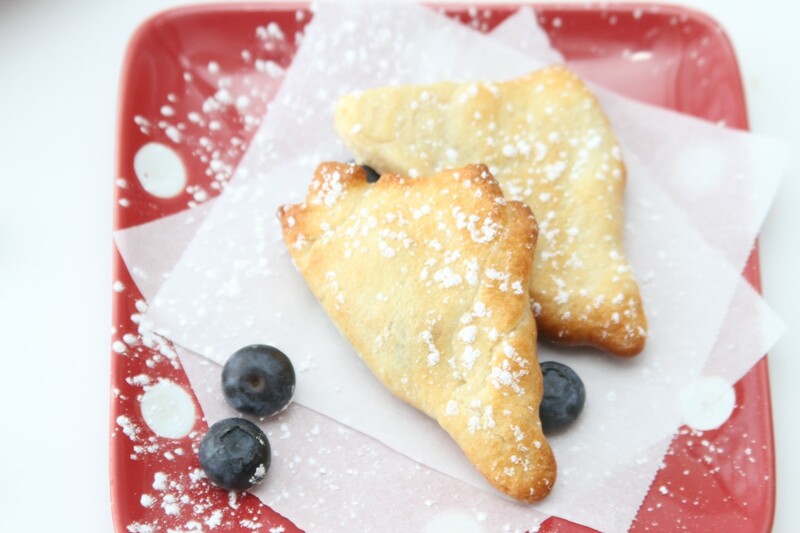 I used crescent rolls to make these, but you could also use a phyllo dough. I simply rolled my crescent rolls out, pinched the seams together on both sides and cut into squares. From there I put a pinch of honey goat cheese and a 1/2 teaspoon (give or take) blueberry sauce in the center. Bring two opposite corners up to meet in the middle and pinch the dough together to create a triangle shape. Bake in the oven or an air fryer for extra crispy results. 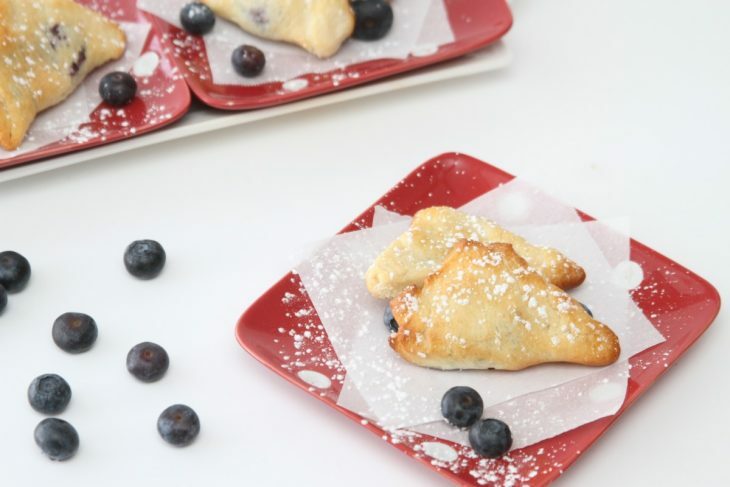 Once the bites are baked place on serving tray, sprinkle with a bit of powdered sugar and serve immediately. Tip: Blueberries freeze well. If they are on sale buy extra and freeze them from later use. Heat over medium-low heat until blueberries collapse, about 10 minutes. Roll out croissants and pinch seams together. Press dough a bit thinner and then cut into 8 squares. In the middle of each square place a pinch of goat cheese and dollop of blueberry sauce. Bring two opposite corners of the croissant dough to the center and pinch dough together to form a triangle. Bake at 375 degrees for 12-14 minutes.